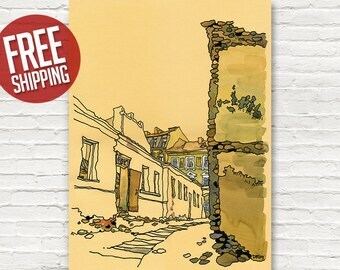 NEW YORK, Downtown, Coenties Slip and Pearl Street, One Way Sign, Ink and Acrylic, Giclée Print, Art Poster, Home Decor, FREE Shipping! 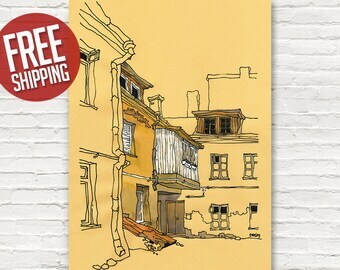 ● High–quality print on 250 gsm matt coated paper, unmatted/unframed. 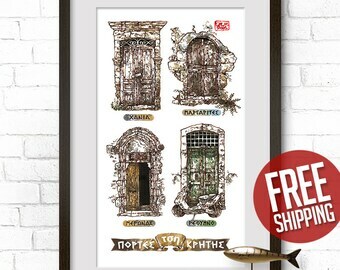 ● The print will be wrapped safely and shipped in a hard cardboard tube. "ONE WAY – one path, one direction, one method... 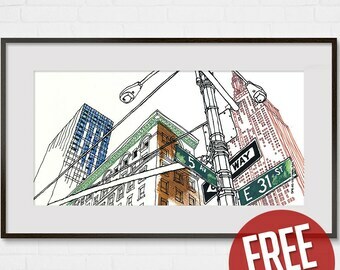 The whole of New York City is dotted with these American road signs. 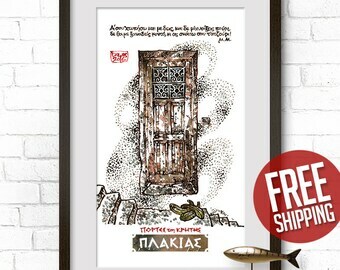 However it is not just a road sign, it's a symbol of one of life's milestones, in which the clean, purified, black–and–white graphics emphasize that among many ways, paths and wrong roads, one must find one's OWN WAY. 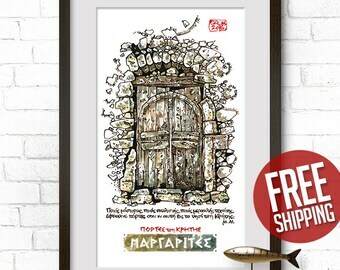 Each of us is free to choose our own path, that is the lifestyle we want to pursue." 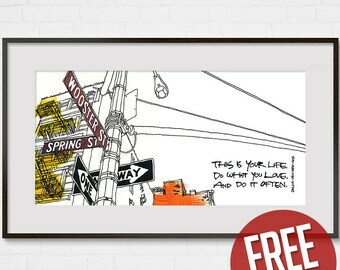 NEW YORK, Manhattan, SoHo, Wooster and Spring Street, One Way Sign, Ink and Acrylic, Giclée Print, Art Poster, Home Decor, FREE Shipping! 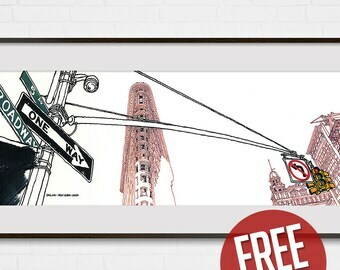 NEW YORK, Flatiron Building, 5th Avenue and Broadway, One Way Sign, Ink and Acrylic, Giclée Print, Art Poster, Home Decor, FREE Shipping! 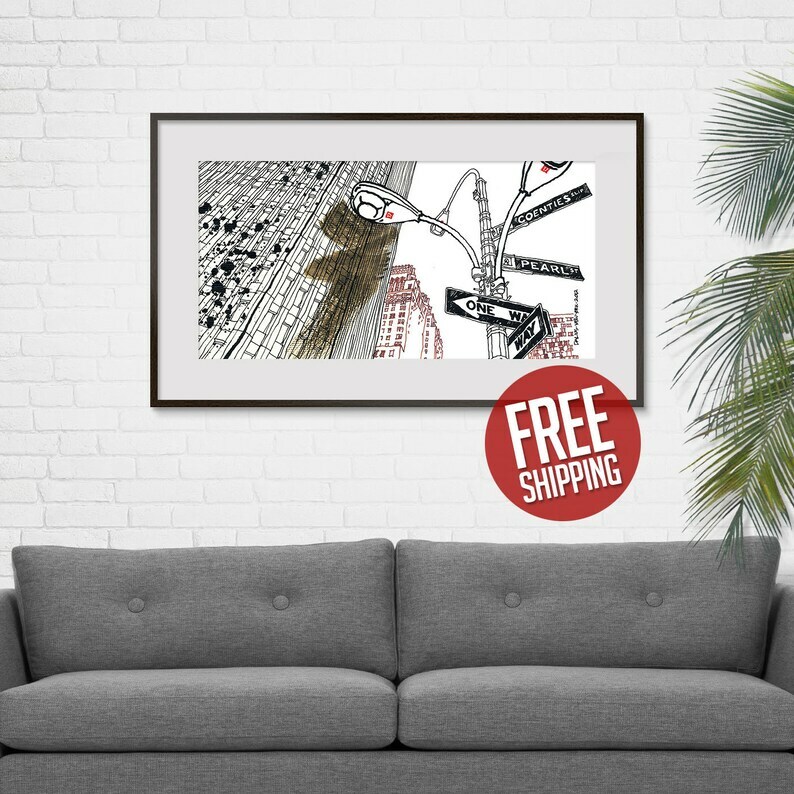 NEW YORK, Empire State Building, 5th Avenue and East 31st, One Way Sign, Ink & Acrylic, Giclée Print, Art Poster, Home Decor, FREE Shipping! 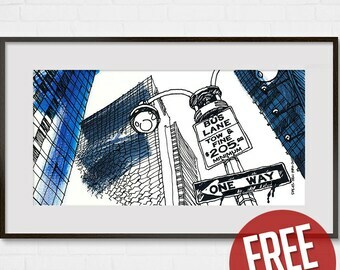 NEW YORK, Times Square, Manhattan, One Way Sign, Bus Lane, Tow & Fine, Ink and Acrylic, Giclée Print, Art Poster, Home Decor, FREE Shipping! 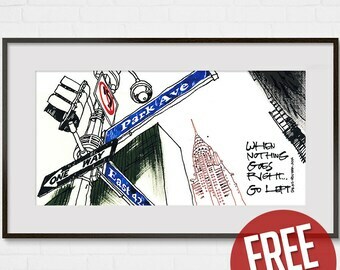 NEW YORK, Chrysler Building, Park Avenue and East 42nd, One Way Sign, Giclée Print, Ink and Acrylic, Art Poster, Home Decor, FREE Shipping! 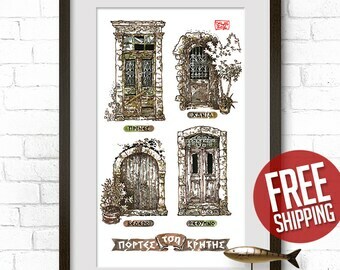 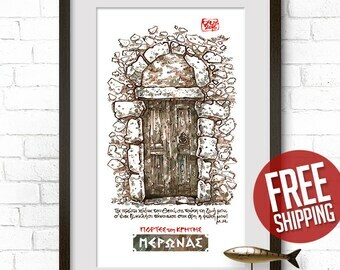 CRETAN DOOR #12, Old Church Door, Mountain Village, Giclée Print, Ink & Watercolor, Door Painting, Art Poster, Home Decor, FREE Shipping! 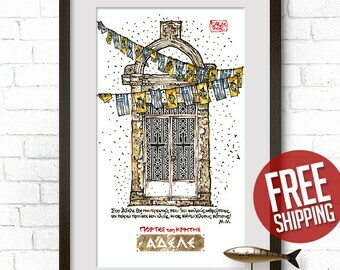 UZUPIS #2, Vilnius Old Town, Lithuania, Canvas Print, Original Artwork, Old House Painting, Watercolor, Home Decor, Wall Art, FREE Shipping! 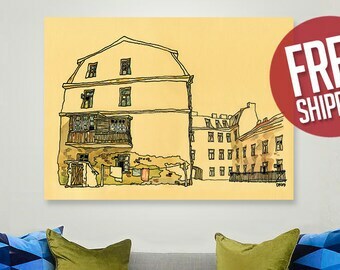 UZUPIS #1, Vilnius Old Town, Lithuania, Canvas Print, Original Artwork, Old House Painting, Watercolor, Home Decor, Wall Art, FREE Shipping!